My love for you is not something I am particularly shy about. 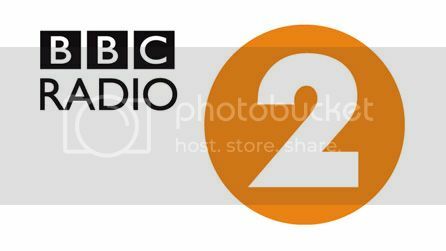 Everyone who knows me knows how much I love to listen to Radio 2, because I go on about it all the time. My enthusiasm is something that is ingrained, because while I was growing up, you were the constant soundtrack to my life at home. My mum loved the radio, and Radio 2 was her station of choice. As a housewife, and with six children to bring up, she seemed to spend a lot of time in the kitchen, so the radio went on first thing in the morning, and stayed on until she was finally able to sit down and watch some television in the evening. This habit has rubbed off on me; while I don’t spend all day in the kitchen, when I am at home, the radio goes on and stays on. I also listen a lot on the iPlayer Radio app – Chris Evans wakes me up, and Janice Long accompanies me as I fall asleep. So along with the DJs, who feel like friends because of the amount of time I spend listening to them (and the fact that I go out of my way to try and get all of them to mention me on air – so far I’ve got Simon Mayo, Janice Long and Steve Wright on that particular list! ), I do of course love the music you play. Sometimes I think that certain songs stick around on the playlist for marginally too long – Coldplay’s A Sky Full of Stars and the Englebert Humperdink and Cliff Richard duet, to name but two. But generally, I think the music is wonderful: the perfect mix of classic and modern. Real variety, unlike a certain commercial station whose tagline is ‘More Music Variety’, and then seems to be a loop of the same twenty or so songs. .
And of course, we now have the Playlister button, something that has made my life immeasurably more fun. I know this isn’t a Radio 2-specific innovation, but it’s where I use it the most, because my radio/app/online player is tuned to Radio 2 more than anything else. Much, much more! I love you, Radio 2. Never change. Or if you do, make changes that will ensure you remain the best radio station in the world (but never take Simon Mayo off. Drivetime wouldn’t be the same without him), and I’ll promise to love you forever. A Love Letter to… is an ongoing series in which I profess my love for something or someone. Ha this made me smile! I think sometimes we forget how much these things lift our spirits. I love Simon Mayo! I don’t get to listen too often, but I always download the weekly Confessions podcast (my favourite part). Great post! Yep, the confessions are amazing, especially if the team get the giggles about them! Haha brilliant letter, I would probably be able to produce a fair few love letters to things that I love! I’m definitely planning an ongoing series – I have lots of things that I love a ridiculous amount! I grew up with Radio 2 being on in the house all the time too. When I moved to the US I tried to keep listening to it live, but the time I tend to listen to most of the radio – in the morning, is when Steve Wright is on, and yeah. I can’t stand that guy, at all. I should probably try the listen back feature and pretend Ken Bruce is steaming live instead. I listened when I was living in the States too – I heard a lot of radio that I wouldn’t normally have listened too, because of the time difference! I am not a huge fan of Steve Wright, but I can listen to him. I can understand why people don’t like him though! I think he’s probably on the road to retirement, so I think there will be changes coming within the next couple of years! Yeah, I can’t listen to Jeremy Vine. I wouldn’t mind if it wasn’t a phone in show, because it’s often quite interesting, but the Daily Mail/Telegraph readers that phone up make me want to throw things at the radio! I love popmaster too! I join in all the time, and sometimes I score better than the person playing and I think I should phone up! Then I come to my senses and realise I don’t know nearly enough!